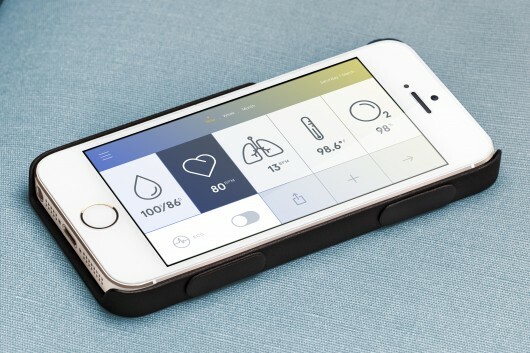 Your smartphone could soon be all you need to perform a quick check-up following the release of a new mobile phone case which turns your device into a health tracker. Looking to dispel the recent surge of interest surrounding smartwatches, the Wello case from Azoi can track your blood pressure, heart rate, body temperature, and blood oxygen levels and even measure and display ECG waves from your heart. Users can also test their lung function through a small included attachment to blow into, with the data then being transferred to an accompanying app which monitors and displays the results. The thin and ultra-light case is compatible with all iOS phones with Bluetooth LE, which include the iPhone 4S, 5 and 5S. The technology will also work with all Android KitKat devices, however not as a case, but as an independent insert the size of a business card. 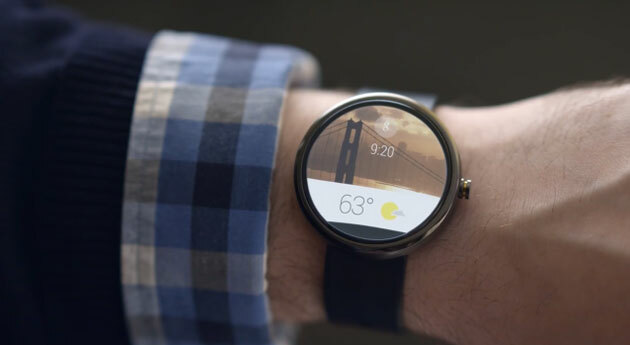 Google has confirmed the launch of Android Wear – a tweaked version of the company’s mobile operating system designed specifically for wearable technology devices. In a company blog post, Google senior vice president of Android, Chrome and apps, Sundar Pichai, described how the new OS will allow the search engine giant to extend Android to a rapidly growing product sector, with smartwatches the company’s primary target. Pebble has announced a new version of its appstore which allows Android users to access and download apps, a month after launching the service for iOS devices. In a blog post on the company’s site, Pebble apologised for the delay in providing the service to Android users. The new app also features a revamped user interface design, alongside several new features, including a directory which lets users browse, find, and install the latest “watchapps” for Pebble, as well as the Watchapp locker, which lets users manage the apps they have already installed. This week has seen the annual Mobile World Congress event taking place in Barcelona. The biggest event of the year for mobile device manufacturers, this year many companies brought along their wearable technology devices to show off to the crowds. We’ll hopefully have some hands-on reviews to bring you soon, but in the meantime, please find a selection of the best from the show below! What Is It? The Samsung Gear 2 is a smartwatch that can display notifications from your smartphone on your wrist. It also has fitness tracking capabilities with pedometer functions and a built-in heart-rate sensor. Unlike the company’s first smartwatch, the Galaxy Gear, the Gear 2 is based on the Tizen platform, not Android. The Good: The Gear 2 now has a built-in heart sensor. It is lighter and thinner than the Galaxy Gear and feels better on the wrist. You can also swap the bands with any standard 22mm watch strap. Battery life is now extended from one day to two to three days. The Bad: Only compatible with Galaxy devices. It’s also still rather bulky. What Is It? The Gear 2 Neo is similar to the Gear 2, but lacks a camera. It’s also made from polycarbonate plastic rather than metal, thus lighter than the Gear 2. The Good: Though pricing has not been announced, it will be cheaper than the Gear 2. The Bad: Only compatible with Galaxy devices. What Is It? Unlike the Gear 2 watches, the Gear Fit’s primary function is that of a fitness tracker. It includes a heart-rate sensor, pedometer and sleep tracker. The wristband can still display notifications from your phone, but there is no built-in mic for calls or a camera. The Gear Fit runs on a real-time operating system, not Tizen or Android. The Good: The 1.84-inch Super AMOLED is absolutely gorgeous. The wristband is lightweight and comfortable to wear, and the curved display rests nicely on the wrist. The Bad: Limited app ecosystem. Only compatible with Galaxy devices. What Is It? The TalkBand B1 is an interesting device, as it combines a fitness tracker with a Bluetooth headset. 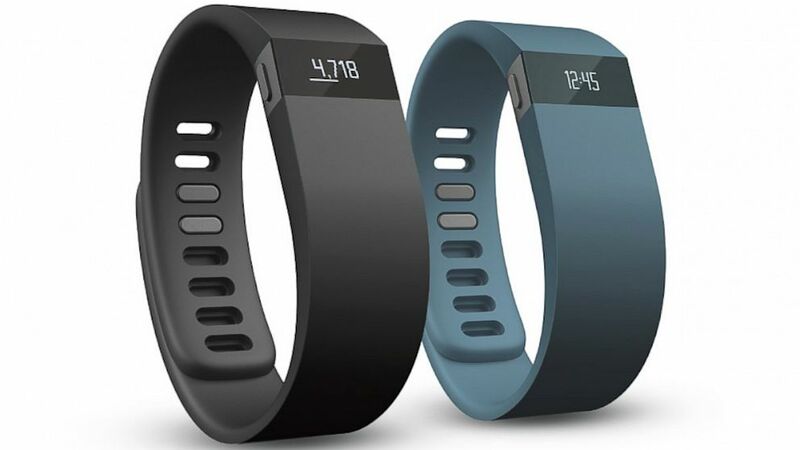 As a fitness band, it has a 1.4-inch non-touch OLED display and tracks steps taken, calories burned and hours slept. But then you can pop the main piece out of the rubber strap and use it as a Bluetooth headset to take calls. The Good: The hybrid design helps minimize the number of gadgets you have to carry. The strap has an integrated USB connector for easy charging. The Bad: The integrated Bluetooth headset design makes it a bit thick up top. The band is also very difficult to put on, and the two-prong fastener doesn’t feel terribly secure. What Is It? Aside from tracking the standard fitness measurements and alerting you to phone notifications, the SmartBand was designed to help chronicle your daily life. Using a companion smartphone app called Lifelog, you can press a button on the band to create a “life bookmark” and it will remember where you were, who you were with, photos taken and blips of information from that place and time. All that data is then recorded in the app in a sort of visual journal. The Good: The SmartBand has a very minimalistic and comfortable design. The Bad: It lacks any kind of display, so you still have to pull out your smartphone to view your notifications and check your fitness stats. We reported a while back that some Fitbit users were reporting that their devices were causing them discomfort – from mild chafing to full on allergic reactions. It seems that the company has finally heard the growing complaints, as the Wall Street Journal has confirmed that Fitbit is now conducting an ‘extensive investigation’ into this. In a blog post last month, Park said Fitbit believed the rashes were most likely allergic reactions to nickel, a component of the steel in the Force. “Our investigation is looking beyond nickel to other potential causes as well,” a Fitbit spokeswoman said. Ever been out for a run and thought that it seems busier than usual? Everyone has their own favourite routes, especially in cities, where getting to experience wider open spaces or even just some greenery or water! 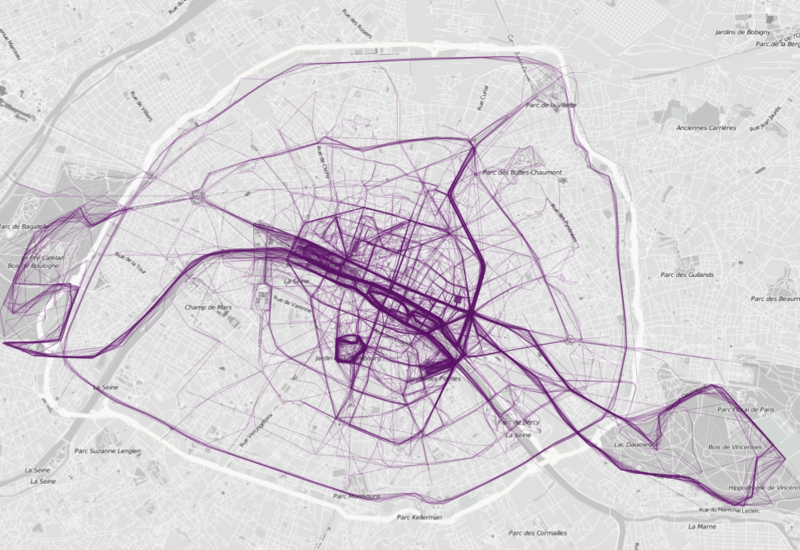 Some fantastic new images from the folks over at Flowing Data have compiled data from RunKeeper users to plot the most popular routes for a range of cities – and the results make for interesting viewing. Starting with our home town, we can see that the favourite routes around London all focus on the river Thames. There is a major surge of activity around the Embankment and Westminster areas as runner look to take in the sights and the river all at once. Elsewhere, the city’s major parks are also popular, with Hyde Park, Regents’ Park and St. James’ Park all featuring highly. The huge surge of activity around the centre of the city is due to the popularity of lunchtime runs, as time-poor employees look to get some exercise into their lunch breaks. New York is next, with the seafront areas around Manhattan proving very popular with runners. Central Park is unsurprisingly popular as well, with many runners continuing up towards Harlem and the Bronx. Southwards of the city, Brooklyn Heights and Sunset Park prove major attractions as runners flock to the Hudson River’s edge. Now for Paris, which sees a very even spread throughout the city. Runners here apparently like to take a major loop to the Bois de Boulogne in the West and the Bois des Vincennes in the East. Lastly, Sydney – where the runners tend not to stray outside the city, but instead look towards the seafront to make up their routes. The maps were built by Dr. Nathan Yau. “There are many exercise apps that allow you to keep track of your running, riding, and other activities,” he said. Yau decided that the information was too personal, and wanted to join the individual tracks together. ‘If there’s one quick (and expected) takeaway, it’s that people like to run by the water and in parks, probably to get away from cars and the scenery. Flowing Data has a wide range of other cities, mainly in the US but also in Europe – check it out! A new fitness app, website and workout service aims to upend gym habits by charging users less the more they workout. Called Fitmob, the fitness service eschews the normal gym model and instead connects users directly with fitness trainers for classes. The trainers put together the class and find a workout space through Fitmob, which has researched venues that rent by the hour. Users can then attend the class and rate the trainers so other users know exactly what they’re in for. While gyms will oversell their memberships knowing that many January signups will be no shows in August, the creators of Fitmob want to incentivise working out. They charge users less money the more classes users go to per week. Smartwatches have becoming increasingly popular in the last few months, as many companies, both large and small, set out to catch a piece of the wearable technology sector. One of the latest is from Atlas Wearables, whose eponymous device has just passed its Indiegogo target of $125,000 and will be shipping to customers soon. Labelled ‘the ultimate fitness tracker’ by the company, Atlas looks to go beyond simply measuring your steps to measuring your success. Atlas logs your workout with almost zero user action, with the device tracking and identifying different activities, evaluates your form, counts your reps, calculates the calories you burned, and keeps track of your heart rate so you can see how each movement affects your body. Nike’s Flyknit technology was a stunning advancement for the company – a real sign that it was stepping up its activity in the running shoe space, but also a sign of great innovation. Following the release of the Flyknit Lunar+1 shoe in March 2013, the company has now unveiled the second generation of its footwear – the Lunar2. Weighing in at just 7 ounces, the shoe is described by Nike as ‘the formula for the perfect run’. The Lunar2 combines an ultralight yet supportive and stretchier Flyknit upper combined with soft, responsive Lunarlon cushioning. The shoes also feature an attached tongue that stays in place and an outsole pattern that more closely matches how the foot naturally moves through a stride. Razer is a company you might associate first and foremost with audio or gaming peripherals, but this year’s CES contained a lot of companies entering the wearable technology space for the first time. So meet the Nabu, not the Star Wars planet, but Razer’s take on wearable tech. Part smartwatch and part fitness band (like the Jawbone Up), the Nabu provides the best of both worlds. There’s the public side on the outside of the band that shows basic notifications like incoming calls. Then, for a little more privacy from prying eyes, there’s a private screen that’s located on the inside of the wrist, which will show information such as emails, messages and the biometric data that the Nabu is constantly collecting.